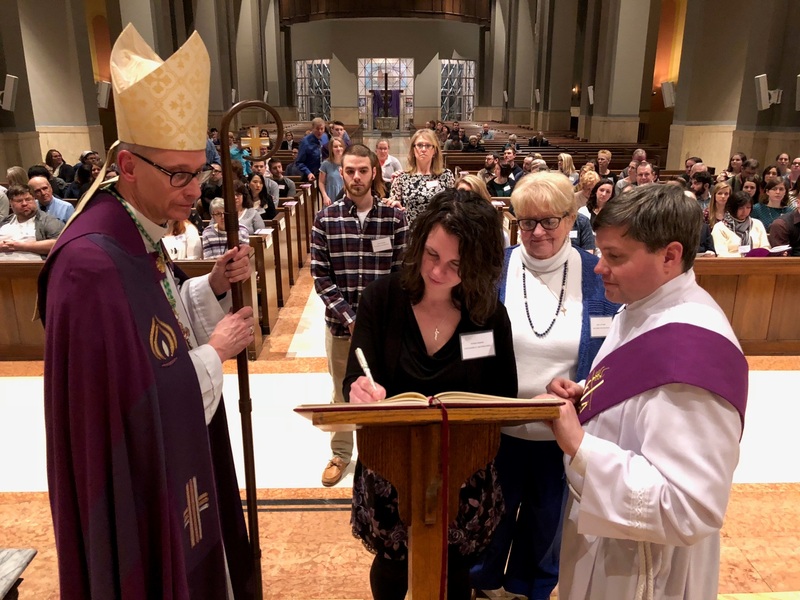 -In 2017-2018, the Christian Initiation ministry received $7,627 to provide educational materials, facilities for classes and workshops, and liturgical celebrations to help welcome 98 adults as full members into our faith. -The Rite of Christian Initiation of Adults, also known as RCIA, provides educational classes and workshops to prepare adults to receive the sacraments of Baptism, Confirmation, and Holy Eucharist. Jesus said, “Amen, amen, I say to you. I am the gate for the sheep.” Our goal in our lifetime is to be a good shepherd and lead the sheep toward Jesus. By supporting the Catholic Ministries Drive, you are supporting the adults that want to live a more faithful life. You can help Christian Initiation today by mailing your gift, placing it in the parish offertory, or donating online at dioceseaj.org.